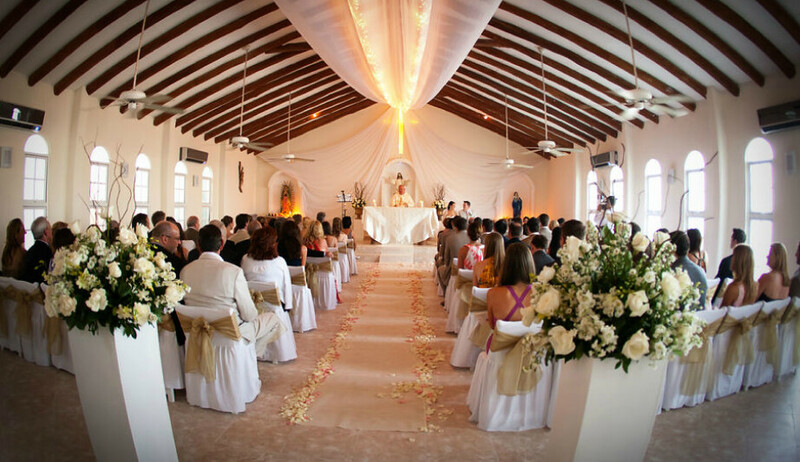 At Legacy Travel, we often help arrange destination wedding ceremonies in chapels. Here is a collection of some of our favorites around the globe in no particular order. 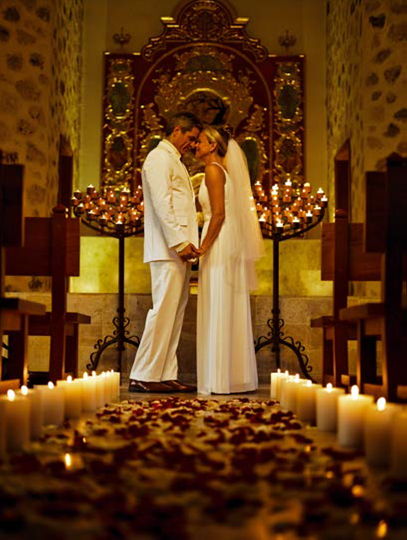 The intimate and vibrant chapel at Dreams Tulum is just steps away from Tulum’s white sanded beach. This chapel can hold up to 40 guests inside with extra chairs outside if needed. This beautiful beachfront chapel is nestled right on Maroma Beach, which is named Top 10 Beaches in the World by the Travel Channel. This chapel can accommodate up to 90 people. 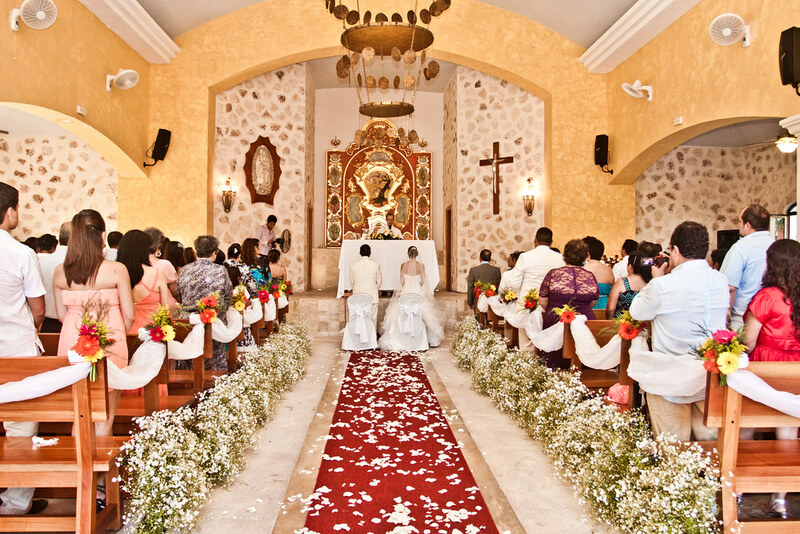 This chapel is located right in the heart of the amazing golf resort Iberostar Paraiso. This resort is perfect for multi-generation groups due to the diversity in hotel options. It can hold up to 60 people but with extra chairs can hold 200. This large resort has a beautiful chapel that can hold 60 guests seated or 80 guests standing. It has beautiful views of the Caribbean sea. As an important part of the “Hacienda Henequenera” Mexican complex the “Guadalupe’s Chapel” is located, its Neoclassical architecture of the 20th century makes it seem like a country rustic chapel. The uniquely shaped Chapel is perched on the highest point in Xcaret offering guests spectacular ocean views and natural scenery. 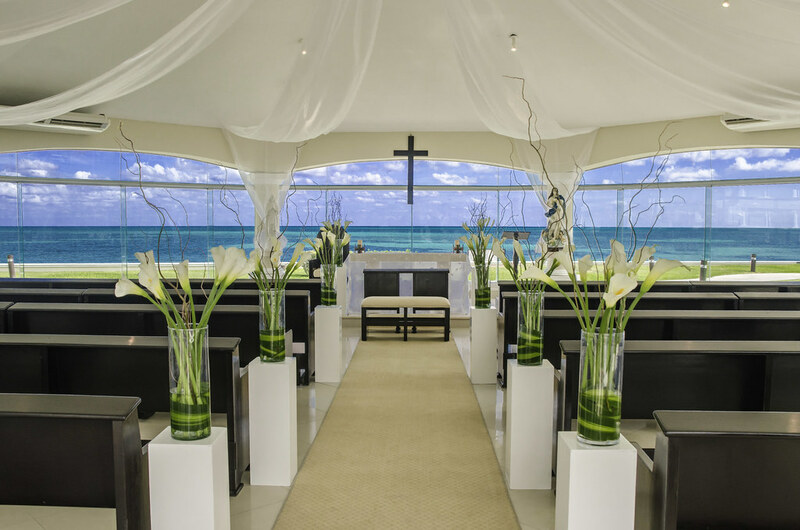 This beachfront wedding chapel is located at the gourmet all-inclusive resort The El Dorado Royale. It can fit up to 80 guests. Our friends as Majestic Elegance have a chapel that can accommodate up to 50 guests. The romantic 16th century style St. Stanislaus Church in Altos de Chavon overlooking the river valley and the Caribbean Sea. The ambiance of the resort is naturally romantic, on an Island covering 7,000 acres. The chapel can hold 80 guests. The chapel will sit 60 guests comfortably plus in the courtyard another 20-30 guests. 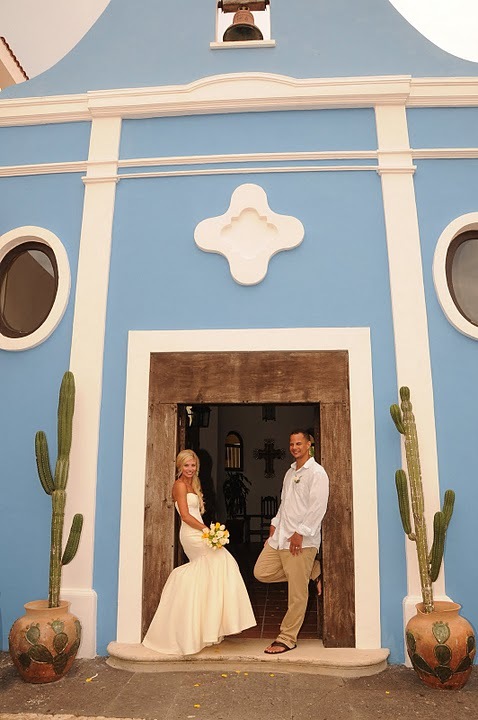 Located on a hill overlooking the resort’s tropical grounds and beaches, the chapel is in traditional Mexican style, whitewashed with arched doorway and windows. 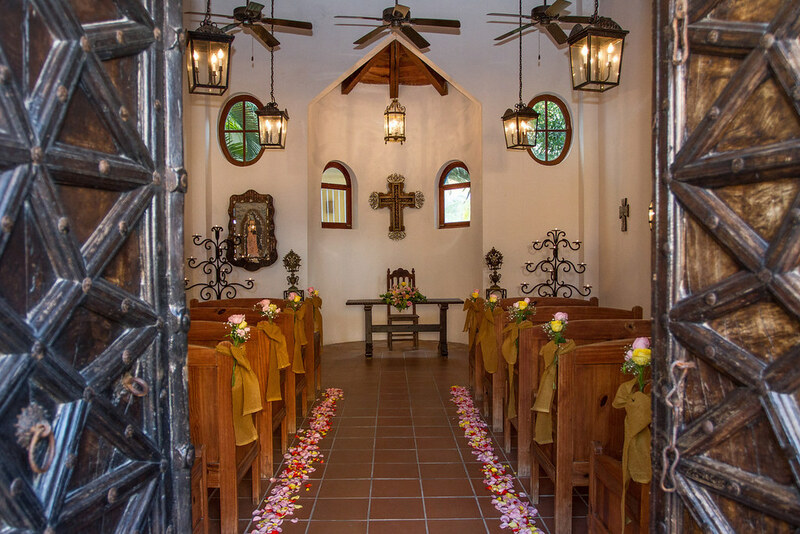 The El Corazon Chapel can accommodate up to 125 guests. The freestanding, two-story Ocean Crystal Chapel at the 22-acre, 2,860-room Hilton Hawaiian Village on Oahu accommodates up to 80 guests and features floor-to-ceiling windows with ocean views. From the first level, nestled amid waterfalls, you’ll ascend a landscaped stairway to the airy, light-filled second-story chapel. Now you can walk down a glass-bottomed aisle in a chapel that is just a few feet over the stunning blue sea. This freestanding pavilion is accessible by boat only and is in an intimate 485 square feet – large enough for the couple and up to 16 guests. 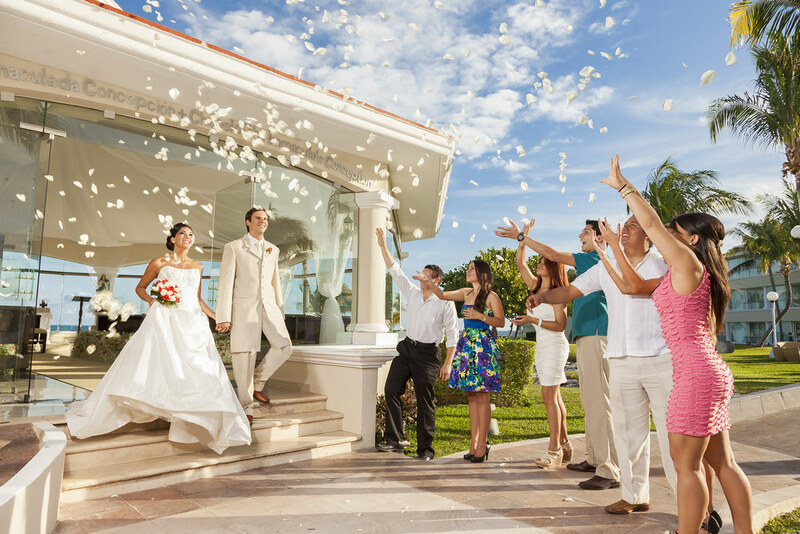 If you are needing assistance with your upcoming destination wedding call one of our Destination Wedding Consultants today to have the stress-free experience you deserve.